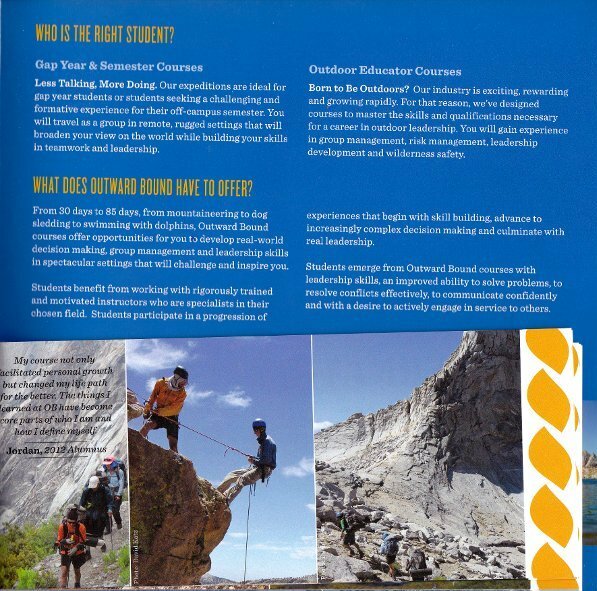 While I was at Cornell Outdoor Education office I saw a Outward Bound catalog. Picked it up, and some of my photos were in it!I had contributed the images, but didn't know they went into print! Here's a view below. Get stoked!